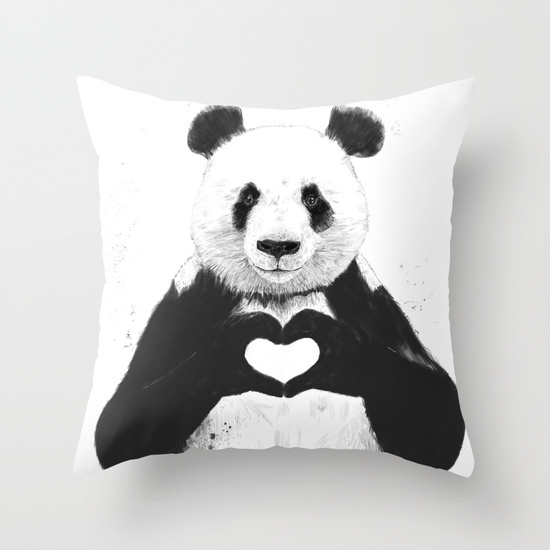 If you follow me over on Pinterest, you know I love sharing my favorites from Society6. It gives artists an easy to use platform to get their work out in the world on a variety of products and into the hands of their customers within days. 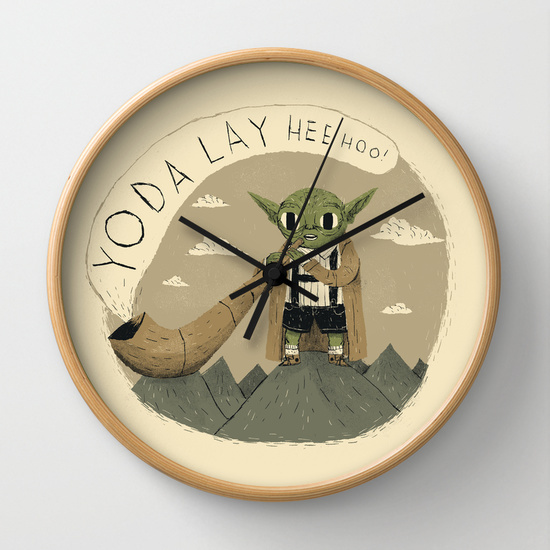 And one of the best things about Society6 is that you can often get a print/piece of art you like on everything from a mug to a clock to a duvet cover to a rug. For real. Here's a glimpse at my favorites this month. And note that the links in this post are affiliate links, which means I receive a small commission when you purchase something through my links. I'm a big fan of the site, the quality of their items, and how quickly they ship things out, so being an affiliate is an easy choice. Oh this mug. I just want to drink tea, create stuff, and sleep. Yes. Yes. Yes. There's also a coffee version. Of course. This black cat just makes me smile. Love it as a tote bag and phone case. All you need is love (and a panda). This pillow is adorbs. And a gold glitter phone case...because glitter makes everything better, especially when you don't have to clean it up. I actually have a small little Society6 shop too. I've been thinking about adding the "you are awesome" and the "hello beautiful soul" and the "love wins" sticker images to it (or something similar). Kind of want one of those on a mug or even a phone case. Or heck, wouldn't a "you are awesome" shower curtain be the bee's knees? Do you have a Society6 shop? If you do or you have a favorite shop/artist over there, please share in the comments. I'm always looking for new favorites. Note Society6 did not sponsor this post, but as mentioned above, links are affiliate.